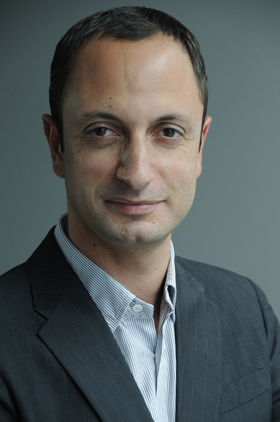 BMW named Karim Habib as head of design for its automobiles division, effective June 1. Habib takes over the role from Adrian van Hooydonk, who had been doing the job in addition to his responsibilities as BMW's group design chief. Habib, 42, a Lebanon-born Canadian, has worked for BMW for most of his career, apart from a spell at Mercedes-Benz from 2008 to 2010. Habib is credited with having shaped the design of the current BMW 7 series. He moves to his new role from head of exterior design at BMW. Habib reports to Dutch-born van Hooydonk, 48, who became senior vice president for BMW Group design in 2009. Van Hooydonk succeeded Chris Bangle, who is credited with modernizing the brand's conservative styling and helping to make it the world's best-selling premium brand.